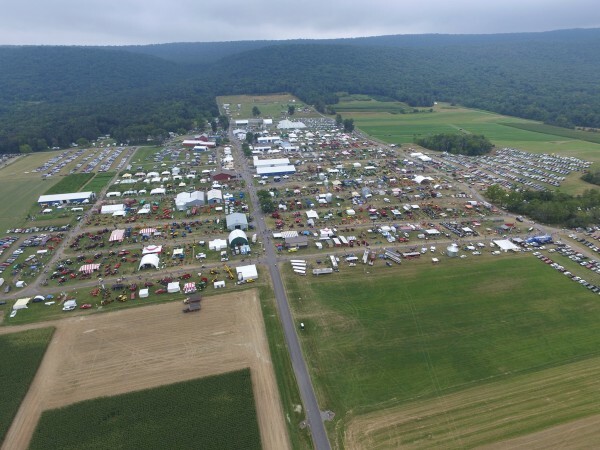 The 2015 Ag Progress Days as seen from the air. - Check out a gardening seminar: There are a few gardening seminars this evening, including one on pollinators, and pest control. - Discover Pennsylvania wildlife: Demonstrations showing off reptiles, amphibians, and birds of prey can be found at the Shaver’s Creek Tent. These presentations are always educational, and fun. - Learn how to grow: The Yard and Garden area includes information on growing garlic and potatoes, along with information on raising honeybees. - Eat a local dinner: Localvores can find a variety of great food at various stands, many of which feature ingredients raised and produced right here in the local area. - Have fun with your kids: Lots of kid-friendly activities, from go-karts to a corn maze to just the amazing sight of big farm machinery. Find out more here.